Research consistently shows that employees are the happiest and most likely to stay at companies that are innovative, align with personal values, offer opportunities for growth and development, cultivate and encourage collaboration and teamwork, and foster an environment where employees feel inspired and play an integral role in making a positive impact in the world. In other words, inspired and engaged employees equal happy employees. The idea of developing a strong company culture and increasing employee engagement efforts to attract and retain top talent is nothing new to HR professionals. Be it flexible work schedules and environments, unlimited paid time off, education subsidies, mechanisms to spotlight great work and provide praise and everything in between, organizations are focusing their efforts on the overall wellbeing and engagement of their employees. That said, according to Gallup’s U.S. employee engagement numbers for June 2016, only a third of workers are engaged with their job. In addition to attractive employee perks, building transformative employee volunteer and giving programs and embedding them within the organizational culture is key to promoting happy employees who stay with their companies. And the research backs it up – the 2016 Cone Communications Employee Engagement Study found that nearly 75% of employees say their job is more fulfilling when they are provided opportunities to make a positive impact at work; 51% won’t work for a company that doesn’t have a strong commitment to having a positive social and environmental impact. That’s right — without a clear social mission, over half of the talent pool won’t even consider working for your organization. In turn, organizations that develop and implement strategic philanthropic programs that include transformative employee giving and engagement opportunities reap the rewards and return on their investment as well. Deloitte’s 2016 Impact Survey found that skills-based volunteering presents an opportunity for employees to develop their professional and leadership skills, and often results in increased productivity, and ultimately increased employee retention. There are some simple steps for HR professionals looking to jump start or up the level of their corporate philanthropic and engagement efforts. As with any large organizational initiative, it starts with executive leadership buy-in, support, and participation. In addition, it is critical that philanthropic goals and execution strategy align with the goals of the broader business, as well as the distinctive competence of the organization and its employees. Consider what key skills and competencies employees possess that could have a positive impact on nonprofits through skills-based and pro bono volunteering opportunities. This concept of aligning values and skills is absolutely critical to the success of an organization’s philanthropic efforts and impact on overall employee engagement. Take any Fortune 500 company as an example. An accounting department that spends two hours helping low income community residents learn how to manage money and balance their checkbooks, or a group of female software engineers that spend two hours teaching girls the basics of coding and the potential of careers in technology, have a more meaningful and impactful volunteering experience. While the work is still important, transactional one-time events such as painting a room at a local shelter or cleaning up a park often involve employees simply volunteering for a few hours and feeling little or no lasting connection with the effort. On the other hand, more transformative experiences such as skills-based opportunities and ongoing partner-based volunteer experiences inspire employees on a deeper level. That leads to an increase in engagement and future participation, acquisition of new skills and greater company loyalty while simultaneously aligning with a corporation’s broader philanthropic strategy, resulting in a greater overall impact. Of course, there are other factors that contribute to the success of an organization’s corporate philanthropic efforts and employee engagement. Programs must be inclusive of today’s diverse workforce and provide volunteering and giving opportunities that align with the employees’ environments and schedules. 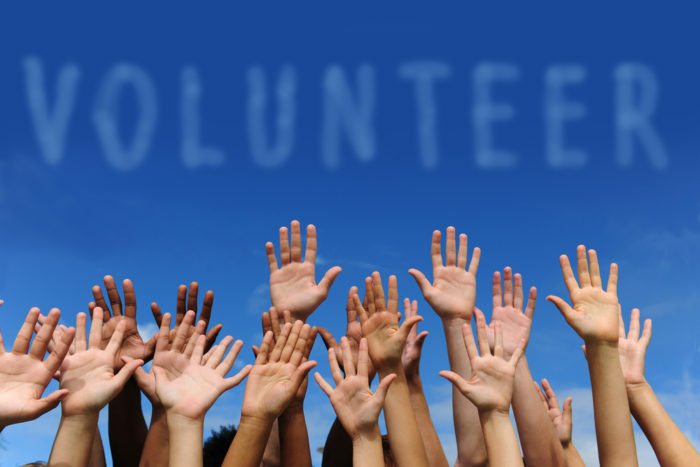 There should be onsite volunteer events for call center staff, virtual events for remote workers, and opportunities for employees to include their family and friends to make volunteer and giving experiences more inclusive for the entire workforce. The importance of making a significant social impact also cuts across generations. Baby boomers, Gen X, millennials, and the next generation to join the workforce, Gen Z, all value the opportunity to give back in a meaningful way. It is important to develop a comprehensive program that meets the expectations of a multi-generational employee base. The good news for HR professionals is that small changes to corporate giving and engagement programs can yield big gains in building and sustaining employee engagement. The key is to begin by considering the ways in which your employees can more meaningfully give back, share their experiences, inspire their peers and help your organization more clearly articulate an effective impact story. Andrew Troup is the director of corporate giving and engagement strategy at MicroEdge + Blackbaud.